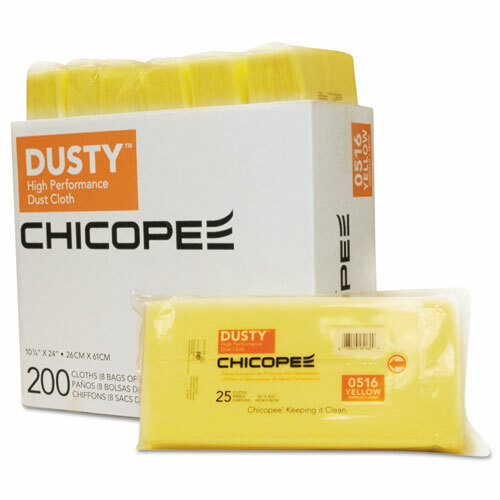 Pick the smartest solution for domestic dusting, with dust cloths designed with a pressure-sensitive adhesive to trap and hold dust. Unique open structure ensures that cloths capture dust and keep it there. Disposability reduces laundering costs and decreases the possibility of cross-contamination between surfaces and rooms. 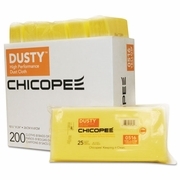 Chicopee Dusty Disposable Dust Cloths, 10 1/4 x 24, Yellow, Rayon/Poly, 25/Bag, 8 Bag/Carton SOLD BY THE BAG.